With the focus on sustainable packaging, JASA has set a clear theme for 2019. More sustainable packaging, better recyclable options, and less plastic. That’s what the consumer is looking for. That’s why JASA introduces a new way to pack apples: without plastic! In this new packaging, the apples are kept in place with a cardboard sleeve. 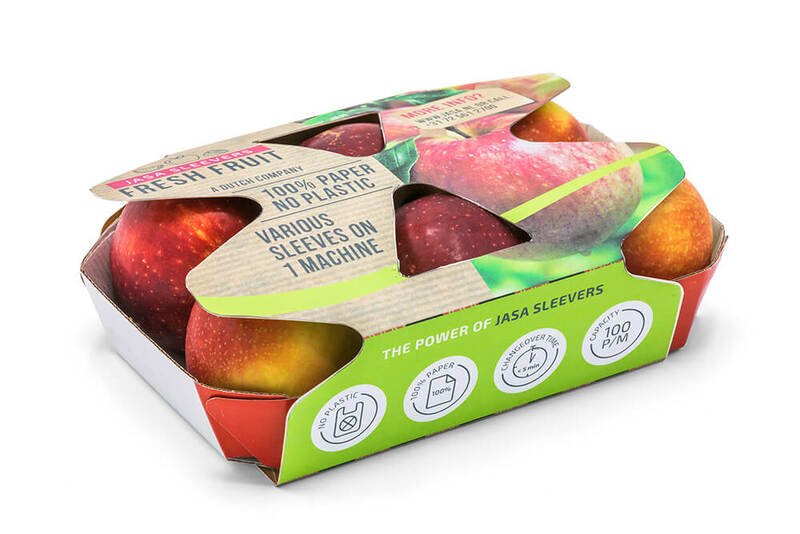 “The apples are still visible, are secured in place in the tray and can’t be taken out of their packaging,” Piet Pannekeet, founder of JASA, explains. “On top of that, the JASA Sleever can be integrated into the packaging companies’ existing packaging lines.  In most cases, the cardboard sleeves can be used with the trays currently used. The sleeves only replace the plastic material that is now used to wrap around the tray. This means that the processes remain the same, such as filling trays and the machine capacity. 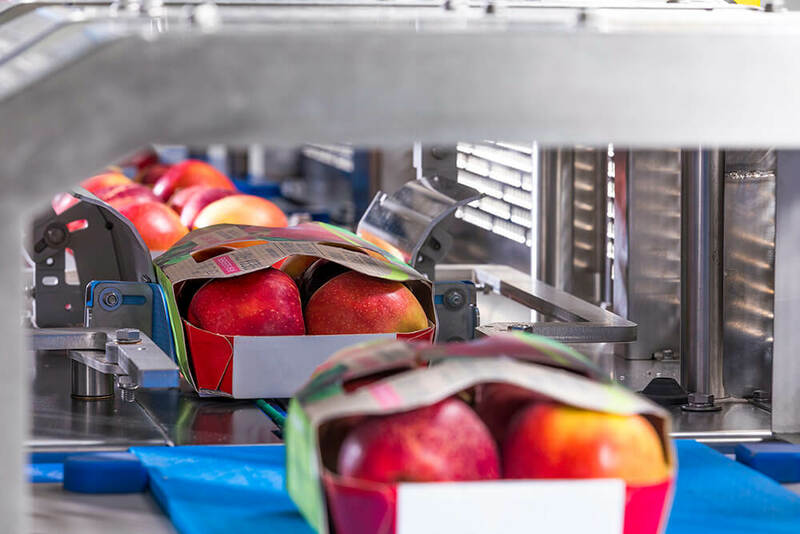 The JASA Sleever for apples processes up to 80 trays per minute. On top of that, the Sleever can be changed over to make a complete different tray/sleeve combination in less than five minutes, so you can use it with other products such as kiwis, tomatoes, avocados, and such. Curious about the options for you? Get in touch with out of our sales representatives!